Gov. 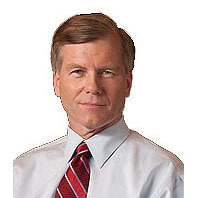 Bob McDonnell earned praise from across the spectrum today for his decision to expedite the process for restoring the voting rights of Virginians with non-violent felony convictions. Under the Virginia Constitution, the governor, not the General Assembly, has control over the process for restoring voting rights of felons. Only the General Assembly has the power to put a Constitutional amendment to change this before the people for a vote. A constitutional amendment requires approval by two separate legislative sessions (with a House of Delegates election in between) before it can be put to a referendum by Virginia voters. This year, the Virginia General Assembly again failed to pass any measures that would reform Virginia’s disenfranchisement law.